In the United States an annual average of 640 children ages 12 years and younger die as occupants in motor vehicle crashes and more than 137,000 are injured. Fortunately, many of those deaths and injuries are preventable… and it starts with buckling up. Of the children ages 12 years and younger who died in a crash in 2013, 38% were not buckled up. Standard car seats and boosters are great, but have you ever questioned if you’re using them correctly? Wished they weren’t so heavy or bulky? Or longed for the day your child could actually feel comfortable without compromising his safety? Traveling with three kids can be a bit challenging especially with all three children using child restraints. I can't tell you how convenient it was to use RideSafer over the holidays. I had such peace of mind knowing that Estela, 7, and Marcelo, 3, were safe while traveling to and from airports, hotels or around town while we were out of the country. I even had them strap them onto their backpacks for easy transport! 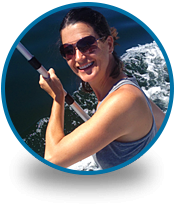 I not only love our RideSafers for traveling but it is amazing for carpooling. There are so many times I have found myself having to give a ride to another child or even when Estela is picked up from school by someone else or for field trips. This is such a great product and it definitely makes my life easier as a mom and THAT is PRICELESS!!!!! IS LUGGING A BULKY CAR SEAT THROUGH THE AIRPORT WEIGHING YOU DOWN? With the RideSafer® Travel Vest, catching your flight just got a whole lot easier! We’ve all seen parents who were, or perhaps you have been the parent, buried with car seats and gear going through the airport. With RideSafer you won’t need to haul that heavy car seat through airport security or while you’re rushing through the terminal to make it to your gate on time. Lightweight and compact, the RideSafer® Travel Vest easily stows away in your luggage or even on your child’s backpack. It is simple to pull out and use SAFELY once you arrive at your destination! 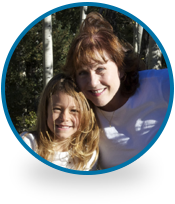 Fewer headaches, safer kids, more smiles! That’s a relief when traveling with kids! What do You Recommend for International Travel? 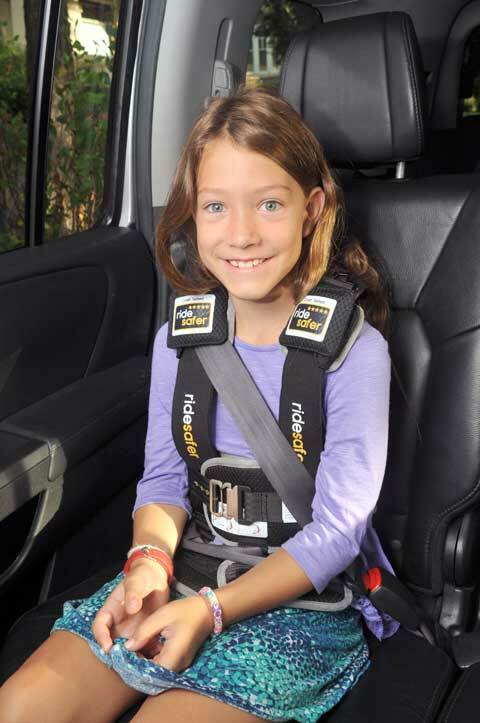 We believe the RideSafer® is a fabulous option when traveling with children who are within the age and size limits of the vest. Does the RideSafer Meet Requirements Both Here in the USA and in Europe? Restraints certified in the USA are usually not certified in other countries — and visa versa — as there are slightly different standards every where. Typically traveling parents are allowed to bring their usual child restraint. In our combined 25+ years as car seat technicians, we have not heard of anyone being ticketed for using a car seat from a different country while they were traveling. Technically the RideSafer Delight has not been certified for use in Europe. We used to have an EU version that came with a booster seat but the manufacturer came out with the new model, RideSafer Delight, and has not yet certified it. We have been told the manufacturer will be certifying the Delight, likely in combination with the Delighter Booster as Europe standards require a child be elevated. We do not know the timeframe for this. It really works! My son (5) was wearing his vest in an Uber which was rear-ended while we were stopped at a traffic light. The driver had whiplash and a bruise from his seat belt, but my son was absolutely fine. We had used the vest in taxis for 2 years without incident, and it was a huge relief to see that it worked so well. In the City? 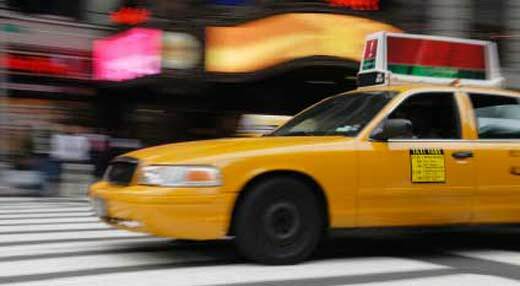 Riding in a Taxi or Ride Share? The RideSafer is the perfect companion for parents cabbing it across town with their children. 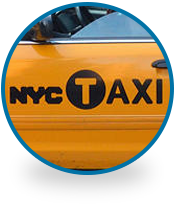 Whether the city is your travel destination or you live there, getting from place to place by taxi or ride share cars may be your mode of transportation. You, of course, want to keep your child properly secured because taxis get into crashes too and you don’t want to take your chances without a car seat. But you can’t be carrying a car seat around town. With RideSafer you get a win-win! You know taxi drivers don’t like to wait for you to install a car seat. RideSafer allows you to put the vest on while your hailing the cab and just buckle up once you get in. Do I need to use a car seat in a taxi or ride share? In many — but not all — states taxis are legally exempt from car seat requirements. Even if car seats are not legally required, taxis are known to get in to crashes also. In a crash, the laws of physics still apply. It is best practice to use a child restraint while riding in a taxi. As for ride share vehicles like Uber or Lyft, most states do not consider those cars for hire so it is required to use a proper child restraint in those cars. Some cities now have the option of requesting a car with a car seat. But these cars and what types of car seats they offer are limited so it’s recommended to bring your own. WHAT DO I DO IF I'M TRAVELING BY TAXI WITH A CHILD YOUNGER THAN 3? In most places around the world, taxis and car services are exempt from any child seat laws that may be in place for the private person. In a car crash the formula we use to estimate how much force is required to restrain the occupant is Speed X Weight = Restraining Force. If you, as the mother, weigh just 125lbs (55kg) and are in a 10mph (16 kph) crash (which is not very fast at all) it would require 1940lbs (880kg) of force to restrain you. That force is applied to you by the seat belt since the seat belt is what is holding you in place. If there is a child between you and the seat belt then all of that force will be exerted on the child by your body. Not a good outcome for the child. For an infant, use an infant carrier car seat that goes into a stroller (you are likely using anyway) and install the carrier in the taxi rear facing without the base. Never wear your infant with the seatbelt around both of you! Putting the child in their own seat belt in the taxi next to you. 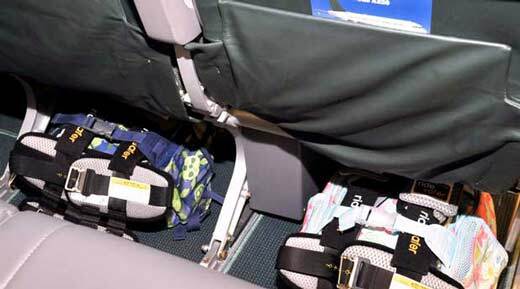 At least they will have something but the lap part of the seat belt may cause abdominal injuries if is is a severe enough crash for them to slide under and out the bottom of the seat belt. Make sure to keep the shoulder belt in front of them, crossing their body as best you can make it fit. Sometimes sliding them all the way over toward were the buckle is helps with this. The safest alternative to using a conventional seat would be using the RideSafer with the tether. We almost always recommend the RideSafer with a tether when we are talking about children at the low end of the age/size range especially of they are not even to reaching the lower limits set by the manufacturer. The reason for this is that you have the protection of the 3 points provided by the seat belt and two additional points of contact and restraint, one at each shoulder which also offer additional upper body restraint and support to keep the child in proper position. We understand that if you will be traveling exclusively by taxi it may not be practical to use the tethering option provide with the RideSafer but we do like parents to have the option. These car vests were great when my grandchildren came to visit me. I have a small car so it's a tight fit to have car seats or booster seats. My grandkids were able to put them on and get themselves all buckled up. It made it easy on me — I didn't have to squeeze into the backseat of my two-door car. I use it when we travel mostly. And then it is a lifesaver during the school year as I carpool with 2 neighbors. It is such a great invention. I bought a vest for my younger daughter and a Bubble Bum for the older for a road trip. I'm planning on getting my older daughter a vest also. The Bubble Bum isn't comfortable for long rides. As far as cabs go, they are so easy. I just use the shoulder strap. I've never been comfortable ``Brittanying`` the kids in a cab and the vest is so easy to carry around if you have a large purse or backpack. It really is a godsend when in an urban setting. Even my parents can use it! lol! Tight spaces, lots of driving, multiple kids, oh my! Gone are the days of needing multiple car seats for multiple cars. 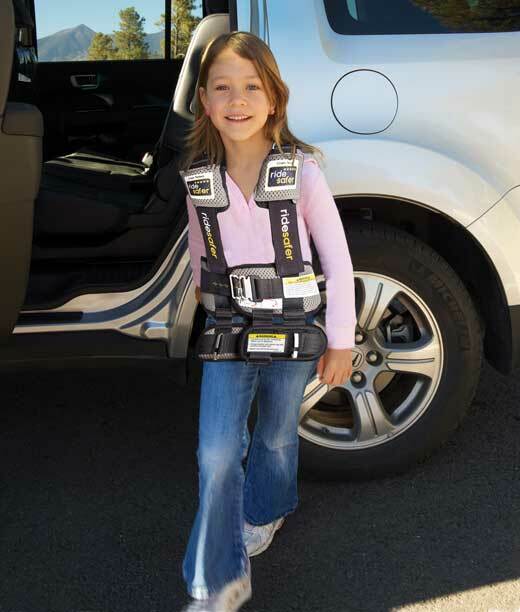 With the RideSafer® Travel Vest, you just need one vest per child! Carpooling? Dropping off for school or a play date? Enjoying a date night while your child stays with the grandparents? Leave the RideSafer® Travel Vest with your child, and you won’t need to worry about who drops off or picks up — or if there are any rides in between. Remember that statistic about how many car seats are used incorrectly? A whopping 75%! And every time you move the car seat from one car to another an opportunity arises for an incorrect installation. With the RideSafer® Travel Vest, you can easily, comfortably and SAFELY fit up to three children in one row in your vehicle — even if one or two are in traditional car seats! And BONUS! It saves you the hassle (and the cost) of upgrading to a larger vehicle! Our son hates his car seat...always has. He has spent the last 6 years screaming every time we went anywhere, no matter how far away. He has cerebral palsy and needs a little help for his trunk support. This vest is fabulous. He loves riding in the car now. It was a night and day difference immediately. His comfort level is perfect now. I also feel that he is a lot safer since the vest holds him securely, better than the straps/buckles on the car seats. Parents of children with special needs may be challenged to find the right child restraint based on various physical or behavioral challenges each child experiences. Many children with special needs exhibit disruptive behaviors, such as unbuckling themselves, as part of their disability. Proper restraint is important because these children often don’t understand the danger of roaming around the vehicle. RideSafer Delight has a “Houdini-proof” buckle. Children with special needs also have physical challenges which need to be worked around, such as sensory issues. Many parents say the RideSafer vest, made of soft fabric and padding, is like a hug or the weighted vest some of these children use. Other children may have poor motor control and need the restraint to help them sit in proper position and stay in place. The RideSafer comes with a tether to help these children stay in position. Will it work for my special needs child? 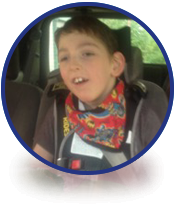 Many parents of children with special needs have found the RideSafer to be the perfect solution for their family. As you know there are many different types of needs and ranges within each one. We offer a 15-day free return policy if you want to try out a vest with your child and see if it will work for your needs. WHAT IF I HAVE A SPECIAL NEEDS CHILD OVER 80LBS? The best answer for this is, “it depends.” As CPS techs we would find out more about your situation and recommend the best solution for keeping your child safe which may or may not include the RideSafer vest. The vest is certified to 80lbs. but that certification is based on the tether and lap-only belt configuration. If someone is using the RideSafer and the vehicle’s lap-shoulder belt the RideSafer will continue to do what it is designed to do and properly pre-crash position the seat belt. Even though they would technically be outside manufacturer specs once they understand the design limits they have a parental choice to make. Sometimes another product is the best solution. Until an extra large RideSafer is available, we would recommend the Merritt Manufacturing Churchill restraint. A Vest?! Really?! 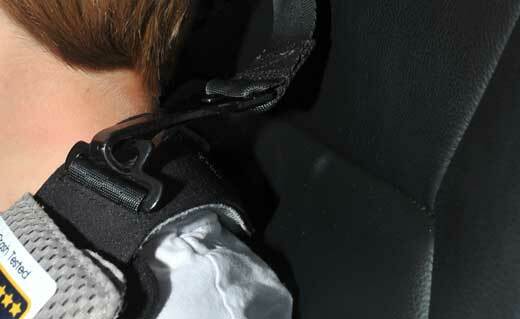 How can a vest protect my child in a crash? Glad you asked! As a parent, one of our biggest fears when we’re on the road with our kids is getting into an accident. 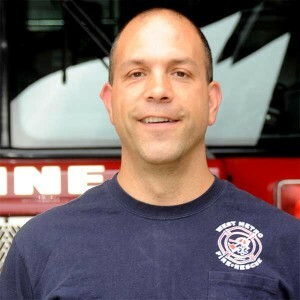 Car accidents can be a nuisance at best… tragic at worst. Even if you’re a safe driver, you can never be too safe when it comes to putting your child in a moving vehicle. RideSafer® positions a vehicle’s seat belt on your child so it moves with him, maintaining proper belt positioning throughout the ride. Plus, it repositions the lap belt below his abdomen, protecting those precious internal organs. The vest safely holds the shoulder belt in place, and away from the neck, improving upper body restraint and ensuring your child feels comfortable and secured. This also removes his desire to tuck the belt behind his back or under his arm, an unsafe practice that often happens with a backless booster. By keeping your child’s center of gravity low in the vehicle seat, RideSafer® changes crash dynamics, and reduces head and knee injuries. Plus, its innovative energy-absorbing foam means, in the event of a crash, energy will spread across your child’s whole chest as opposed to the two-inch area of a seat belt. This revolutionary product has been crash tested as a harness and meets or EXCEEDS all Federal Motor Vehicle Safety Standards (FMVSS 213) crash test requirements. The federal government sets performance criteria for how much crash energy is experienced by a child during crash. They do this by requiring the manufactures to crash test their own products and measure the results. Not many — if there are any others — car seat manufacturers share crash test information. You can see this graphic RideSafer exceeds federal standards, in some cases by close to half. Start Your Order On Our Store!